I was wanting to try something new for an appetizer this Thanksgiving and this one hits the mark! 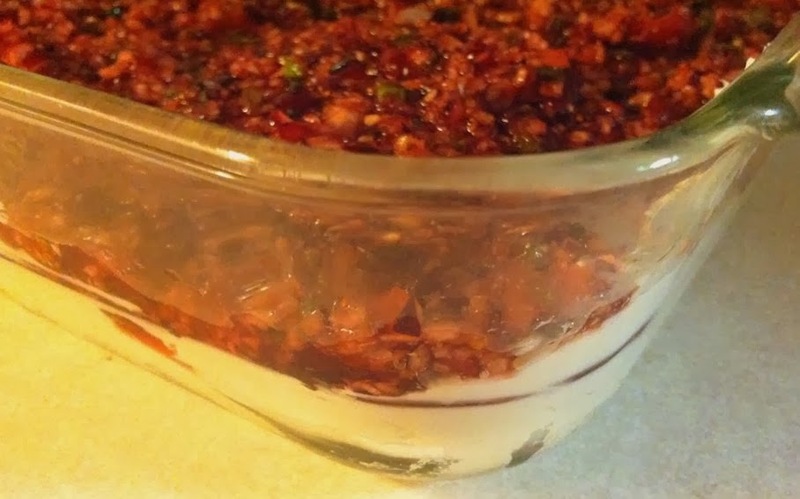 It is festive (has cranberries) full of flavor (includes jalapenos, onion & cilantro) and tastes great! 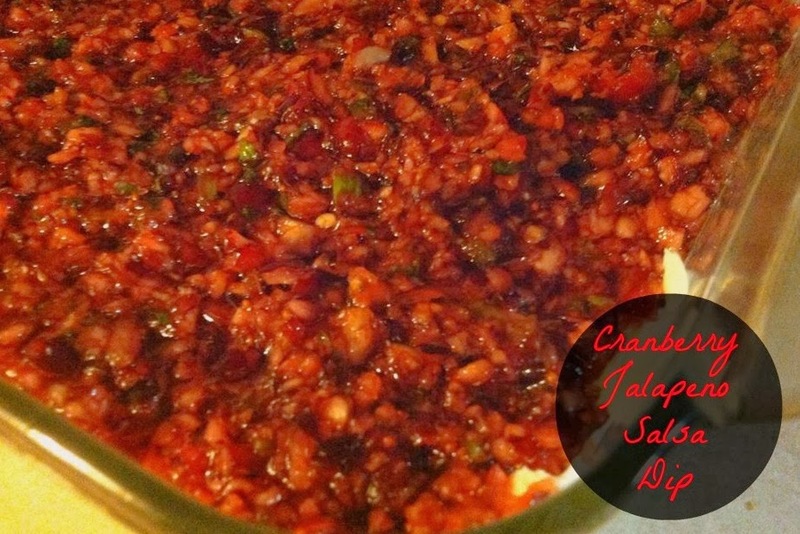 The color is bright and beautiful, so this would make a great appetizer for Christmas, also! I found this recipe over at www.jamiecookiesup.blogspot.com and knew by just looking at it I needed to try it. When I first read the ingredients, I was little apprehensive. But it comes out just like a wonderful cranberry salsa. Seriously, eat it just on some tortilla chips. It is so good. But this called for spreading it over softened cream cheese. So that is what I did. Scrumptious is all I can say. I have even made this again since Thanksgiving because my hubs and I couldn't get enough of it! I chopped everything up in the food processor. My note to people like my sister, trying to reduce sugar intake...don't skimp on the sugar! Have you ever eaten a fresh cranberry? Have you ever eaten a fresh cranberry and liked it and didn't pucker up because it is so bitter? Yeah, add the sugar! It draws out the bitterness. Process the fresh cranberries in a food processor. Process the green onions, cilantro and jalapeno. Add to the chopped cranberries. Add the sugar and lemon juice, stir well. Cover the bowl and chill the refrigerator for at least 2-3 hours. Spread the softened cream cheese in a serving dish, such as a square casserole dish. Spread the cranberry salsa over the cream cheese. Serve with chips, crackers, anything you'd like!